This part of the tutorial is for the bolero. 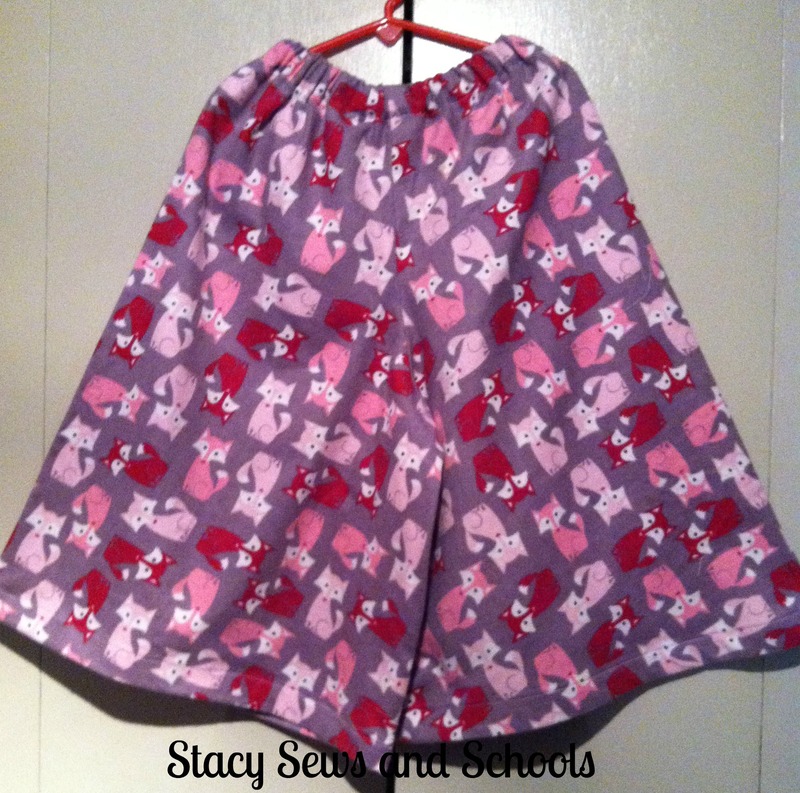 To find the tutorial for the gauchos and tank click here. I wanted the front of the bolero to curve and be slightly longer than the back. 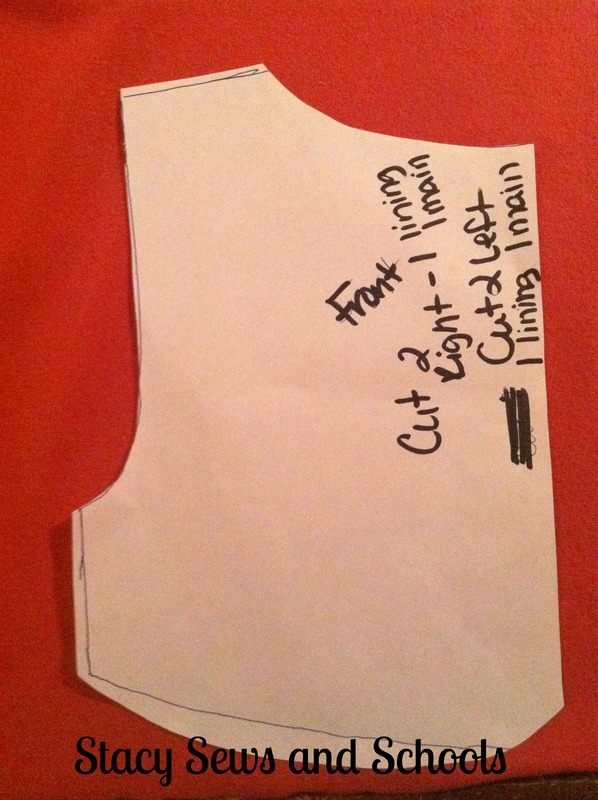 I cut 1 left side of the main and one right side of the main. 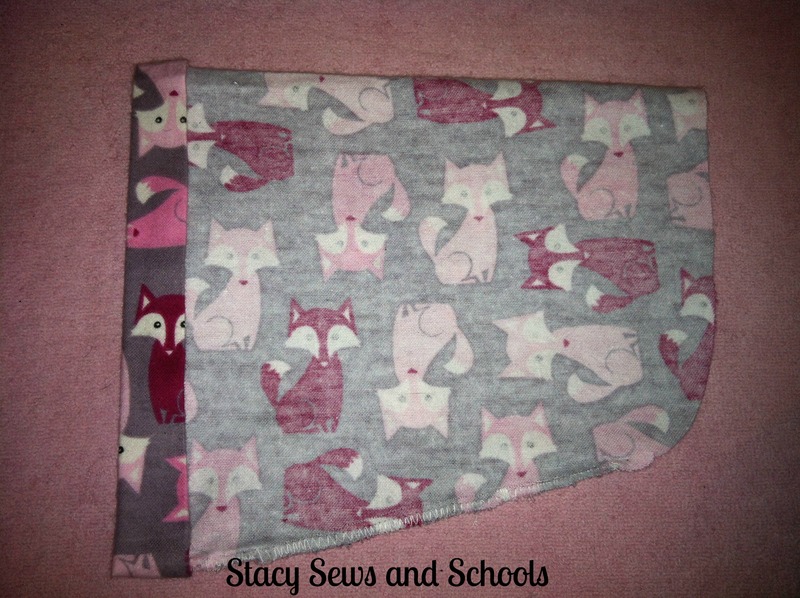 Make sure you flip it so you have one right side and one left side OR you can fold the fabric over but don’t place the edge on the fold. For the sleeve, I wanted it to bell out like the gauchos. 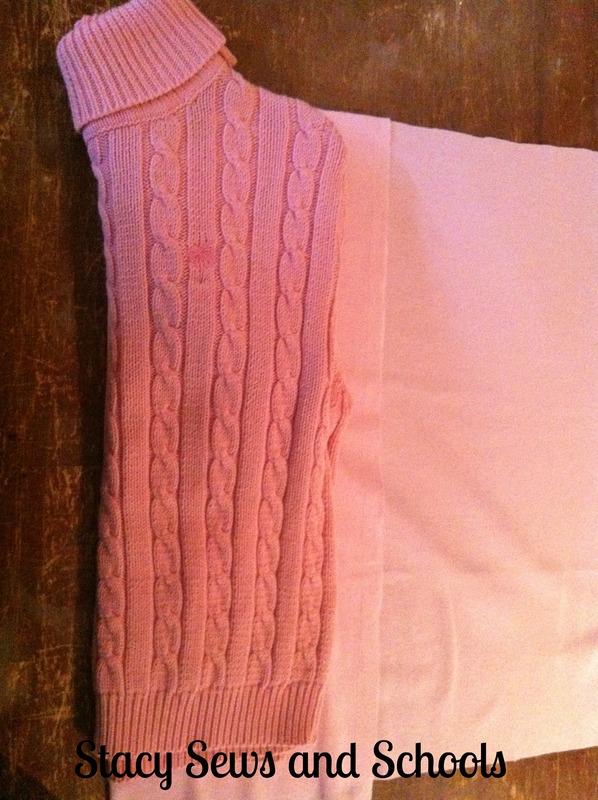 I used a front piece of the bolero to cut where the sleeve meets the armhole to make sure it would fit properly. Cut 2 on the fold. Now for the lining. Cut it the same way you did the main, 2 pieces for the front and flip if you have right and wrong sides, that way you will have left and right pieces. 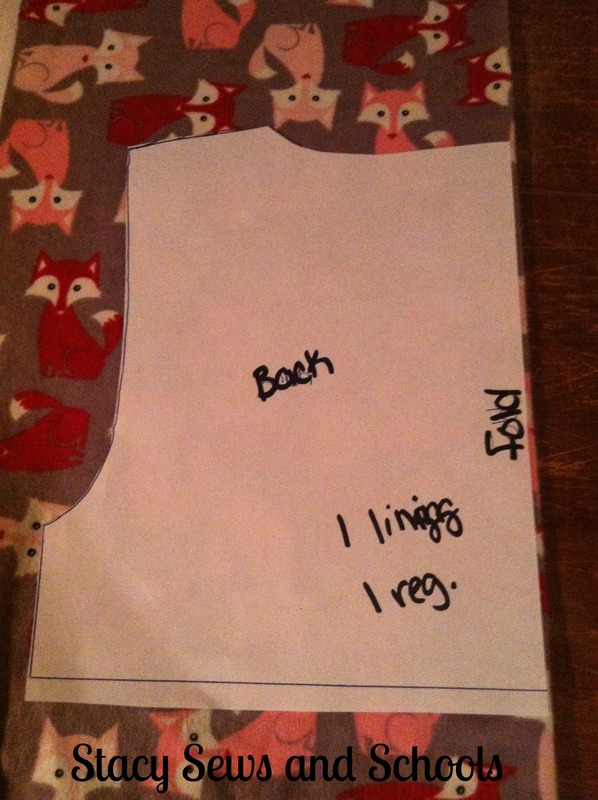 Now, cut the back piece, once again on the fold. 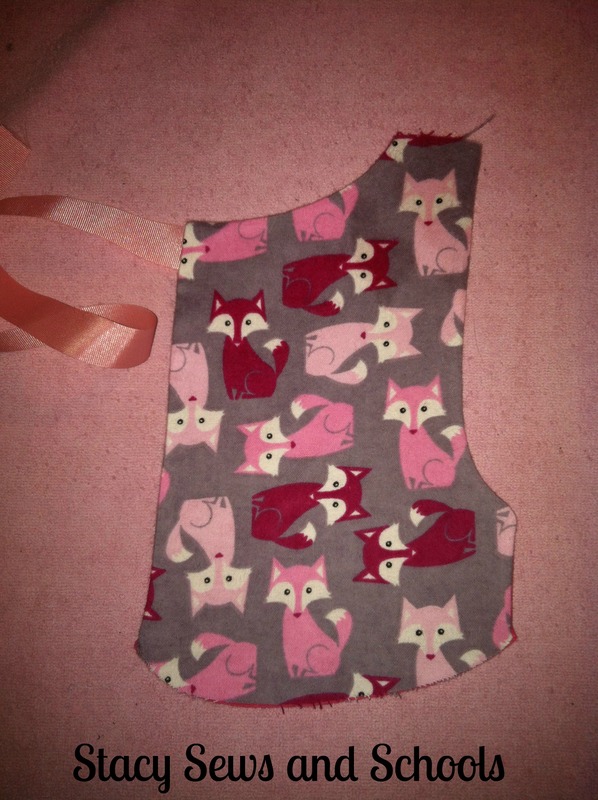 Pin your ribbon to the front bolero pieces with a bit hanging over the edge. 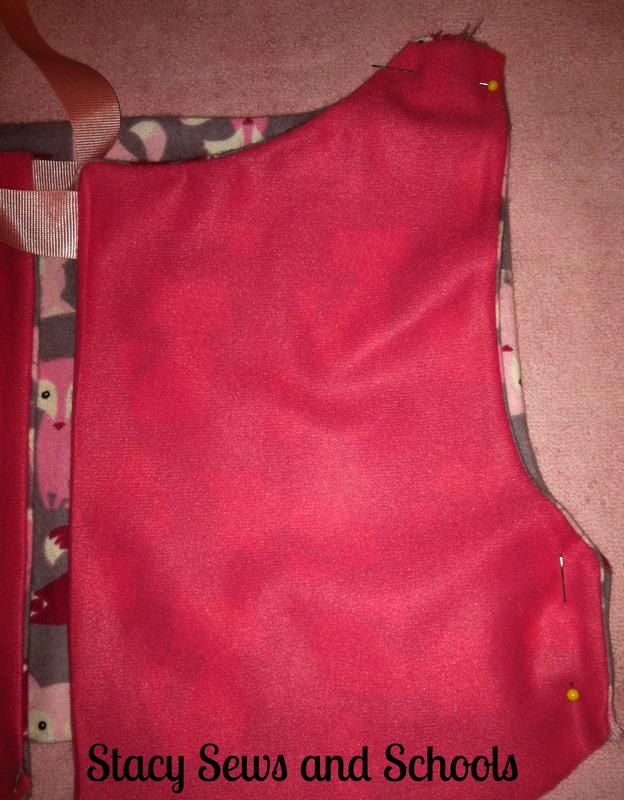 Pin the front bolero lining and main with right sides together, making sure the ribbon is still poking out a bit. Sew the pieces together leaving the shoulders and the bottom open. 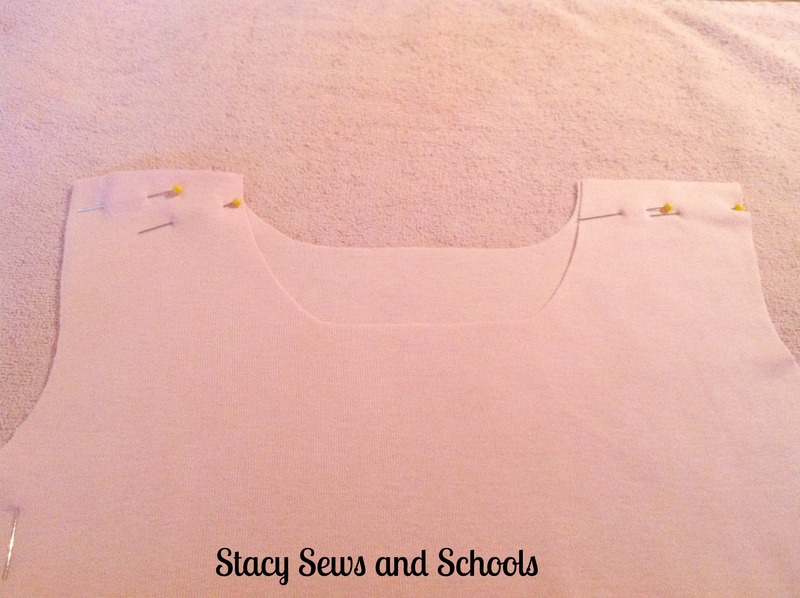 Do this to both of the front sides of the bolero. Turn right side out and press. 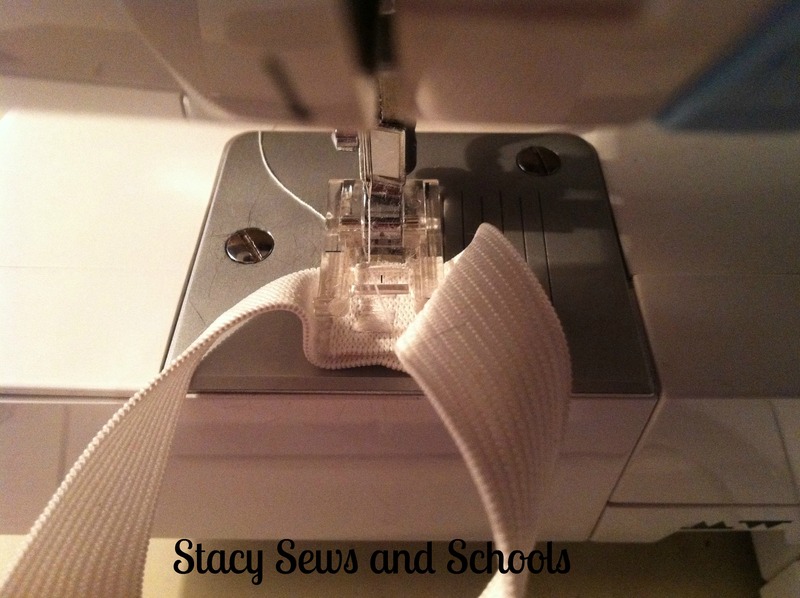 Cut a V into the end of the ribbon to help keep it from fraying. 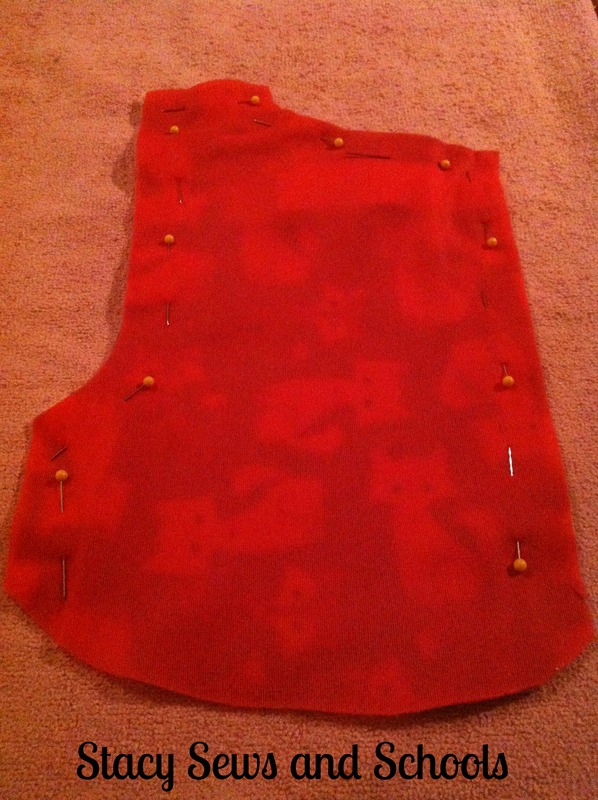 Pin the back boleros pieces with right sides together. Sew the pieces together leaving the shoulders and bottom open. 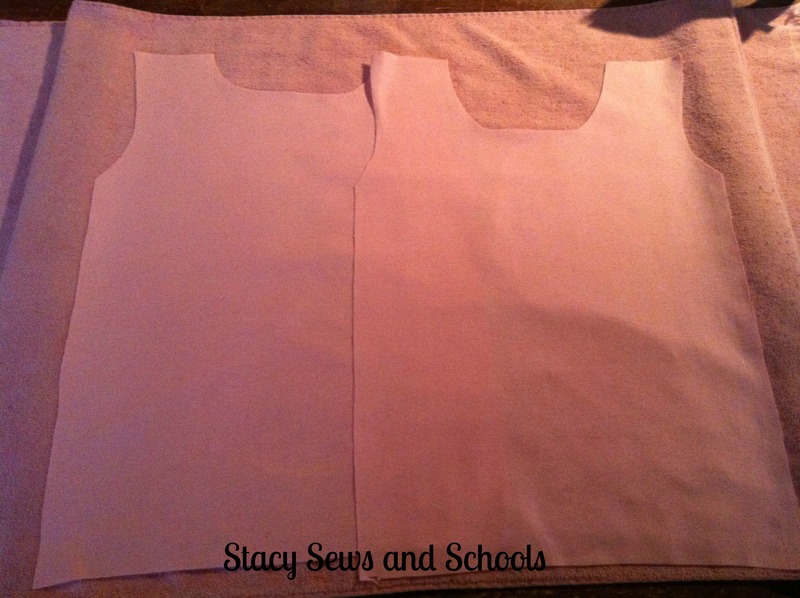 Pin the front pieces to the back piece with right sides together. 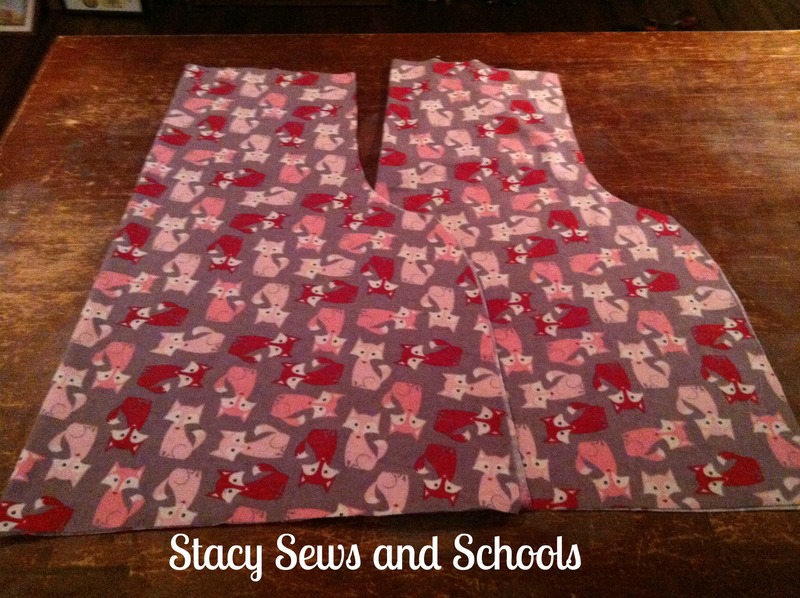 Sew the shoulders and the side seams. 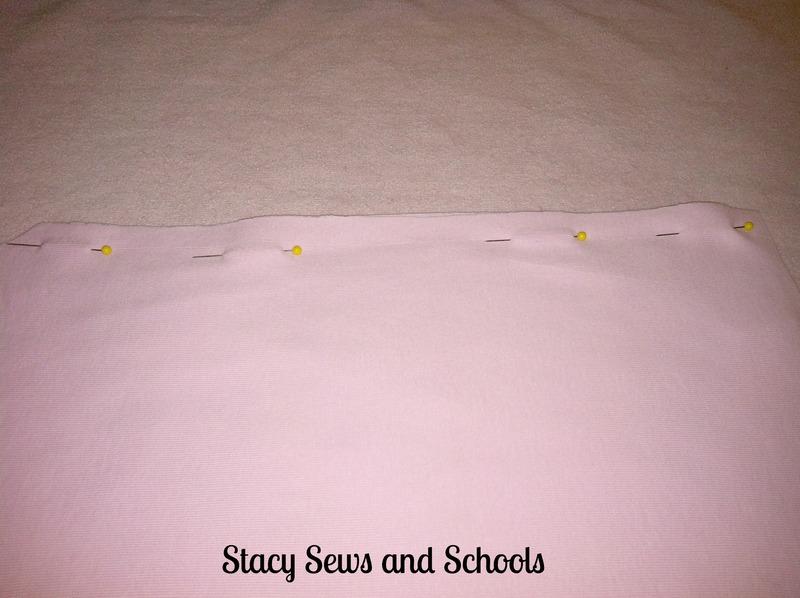 Pin the underside of the sleeve and sew the seam. 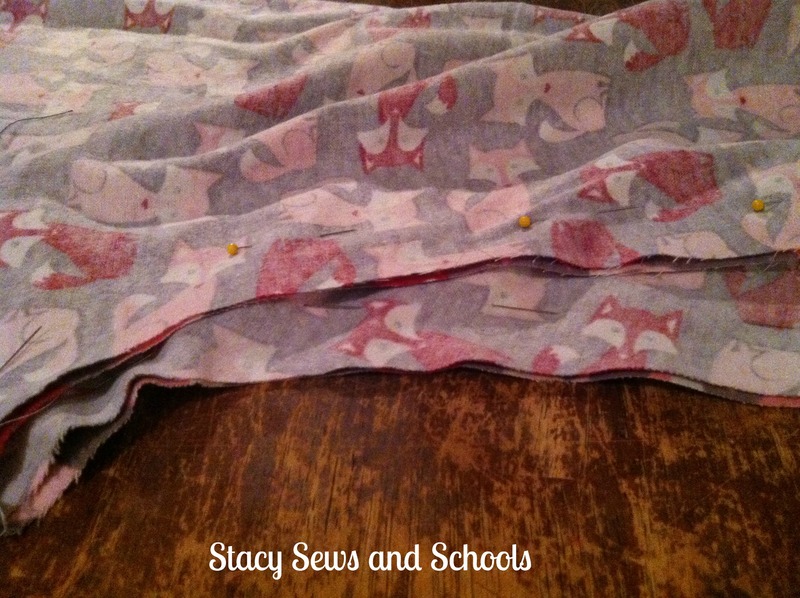 Fold over the bottom of the sleeve by 1/2″ and press. 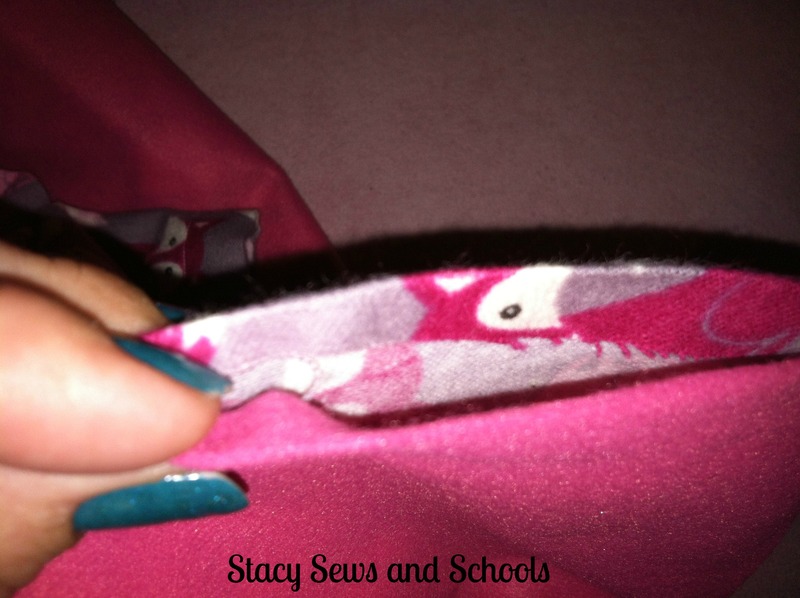 Fold over again by another 1/2″, press, pin and sew the hem. 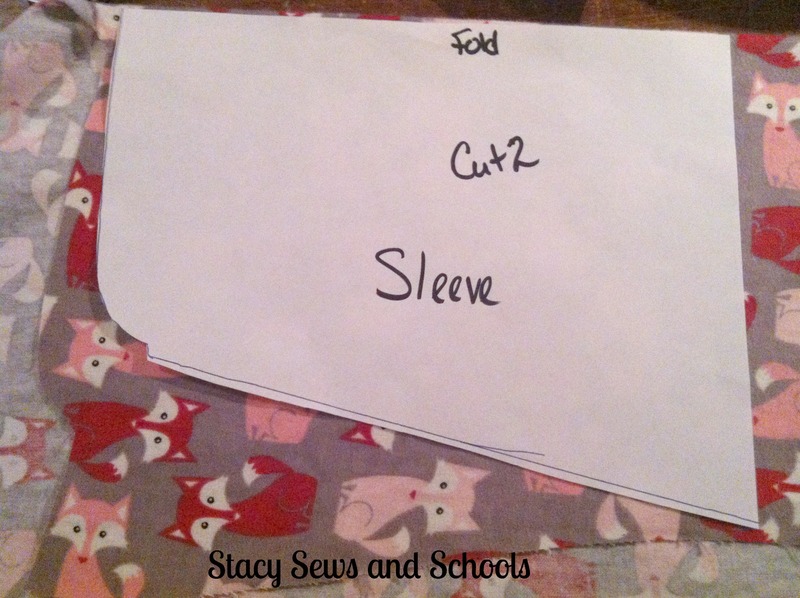 Turn the sleeve right side out and slip it into the arm hole with the right side of the sleeve touching the right side of the bolero. 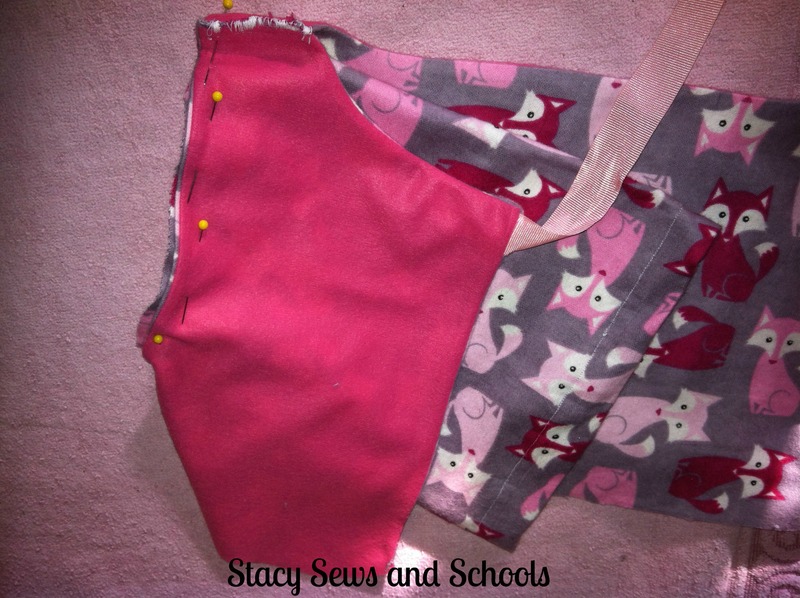 Pin and sew in place. 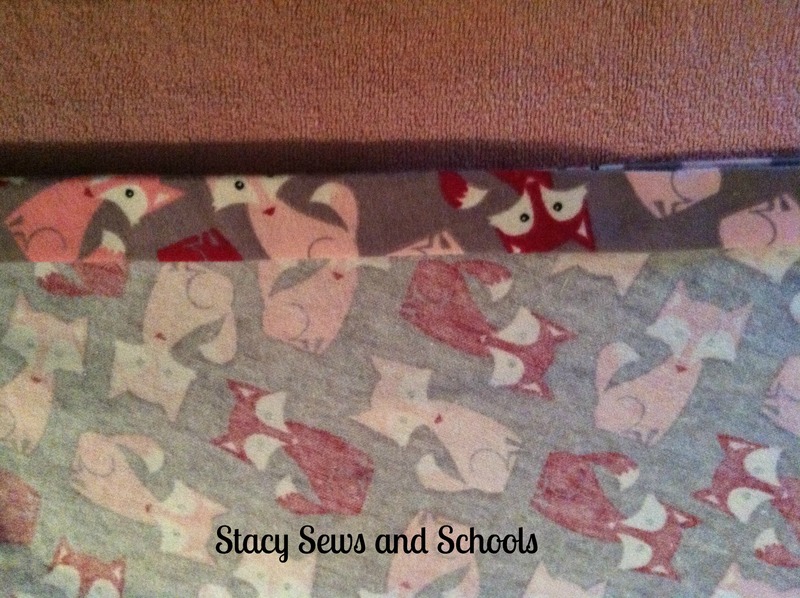 Turn in the edges of the bottom of the bolero and press. 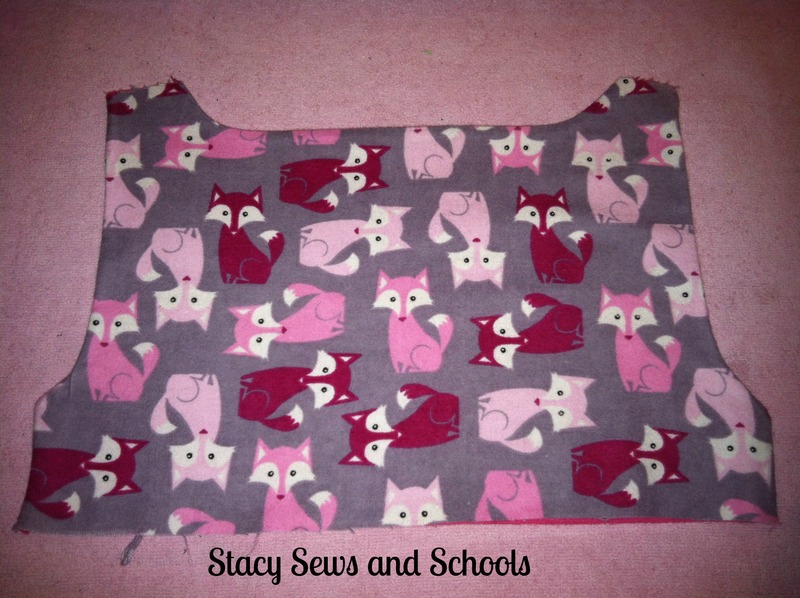 Pin the bottom together and top stitch. As always, if you have any questions just use the Contact Me button at the top of the page and shoot me an email! Let me know if anything is unclear! The tutorial for this outfit will be in 2 parts. 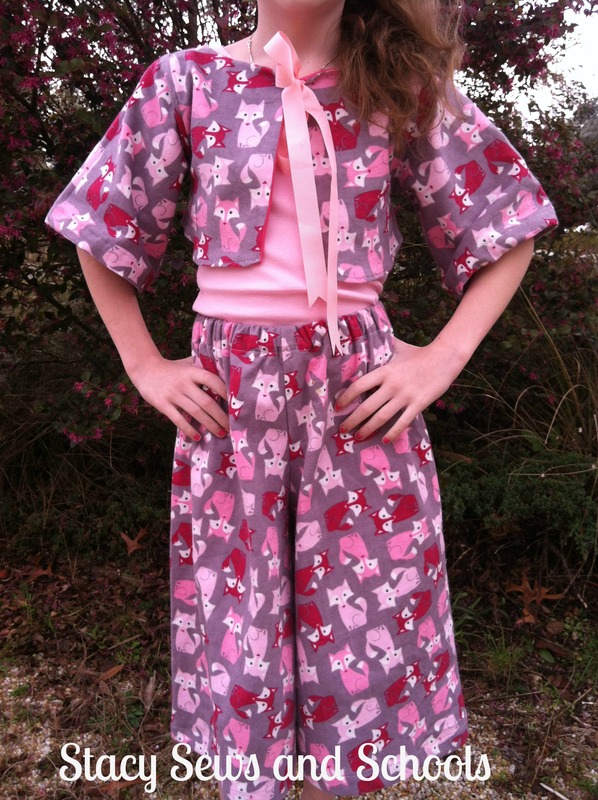 The first part will be the gauchos and the tank. 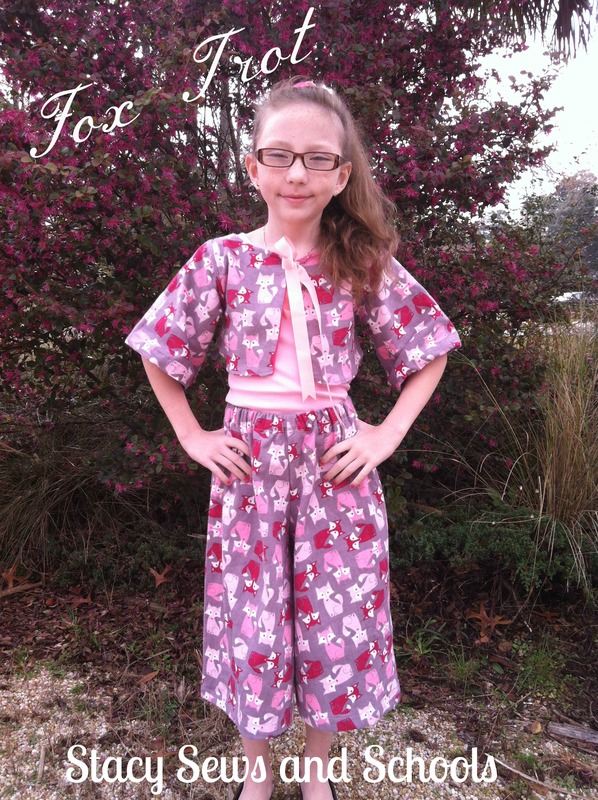 Tomorrow I will be posting the bolero. These are basically like any other pants that I make except in leg length and leg width. 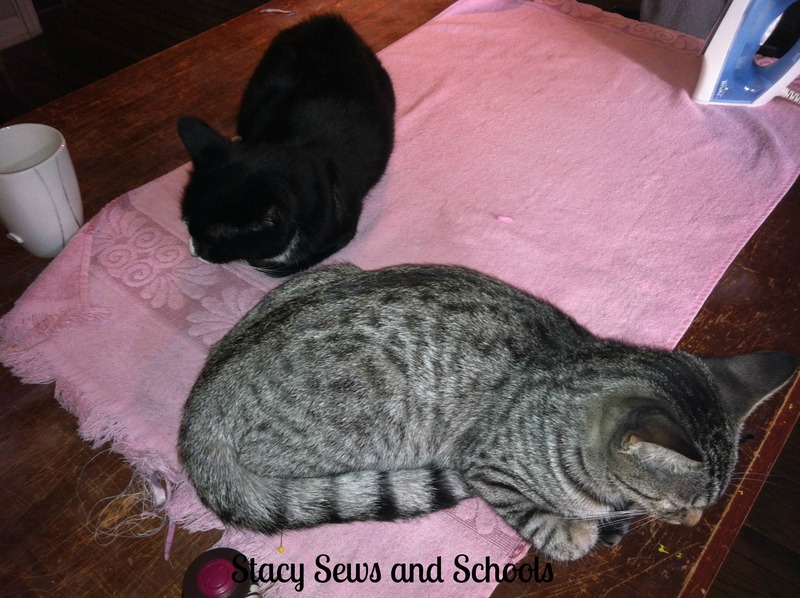 Pin and sew up the inseam. Go to where the curve of the crotch starts and stop. Turn one leg right side out and slide into the other leg. 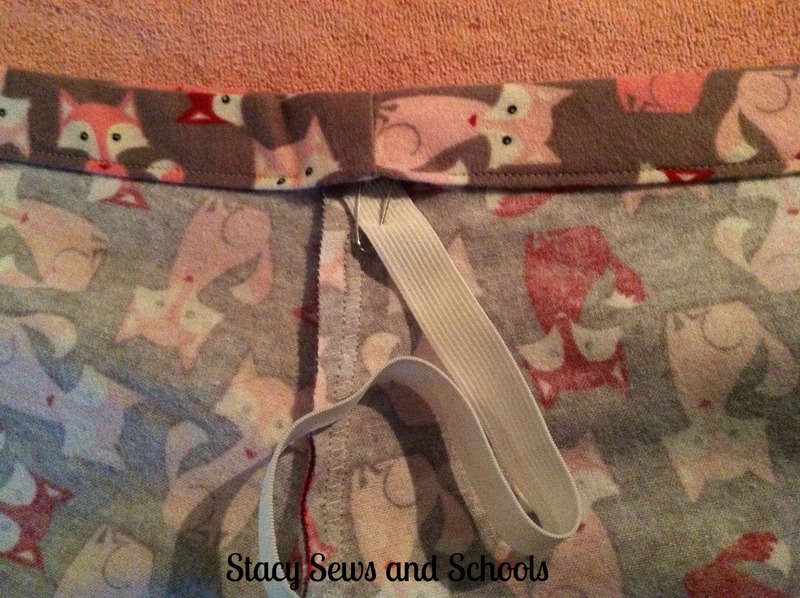 Pin and sew the seam in one continuous stretch. Turn the gauchos inside out. 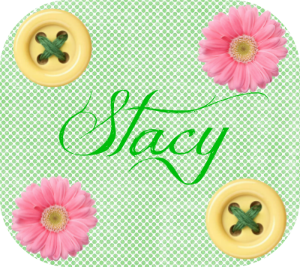 Turn over and press 3/4 ” and then 1 “, press and pin. 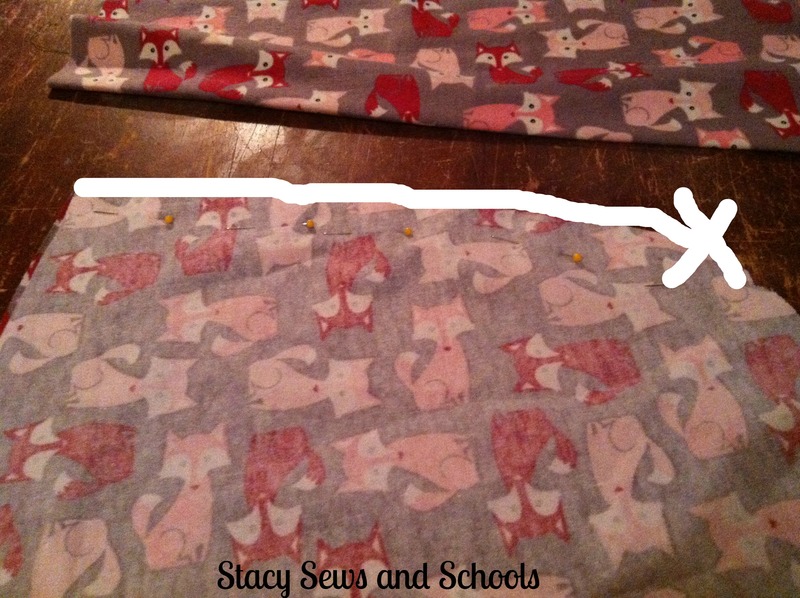 Measure the elastic to your child’s waist and subtract 1″. Then safety pin the ends of the elastic and either pin one end to yourself or hold tightly. Insert the elastic into the opening! 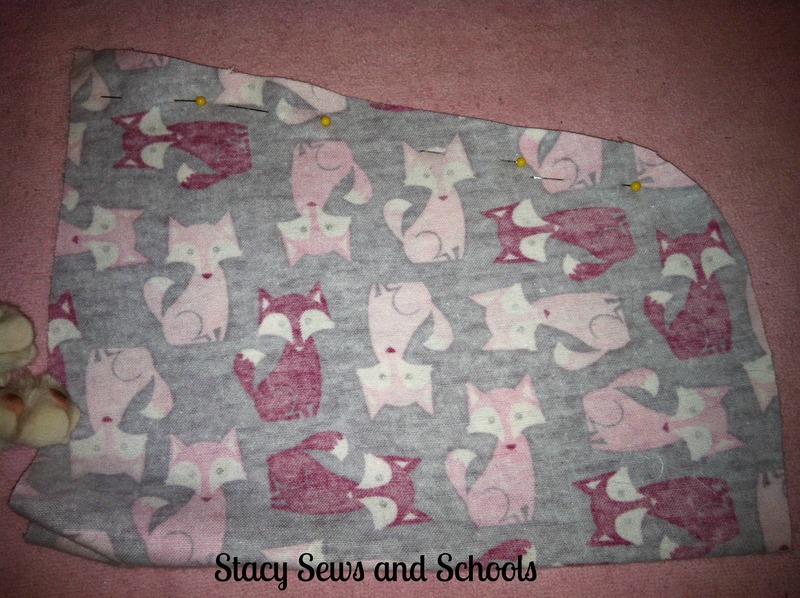 Then sew the elastic casing closed! 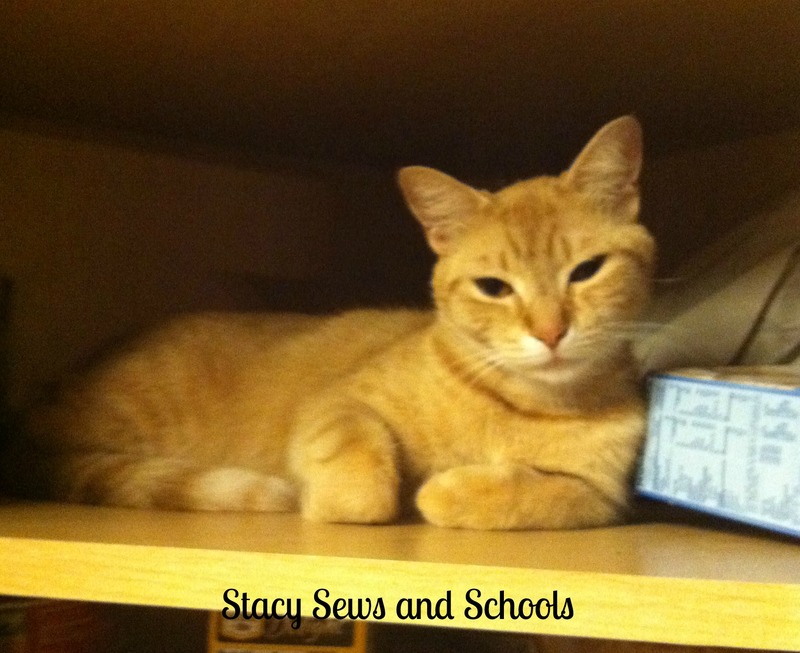 Take a moment and get your cat out of the cabinets!!!! Good grief!!! 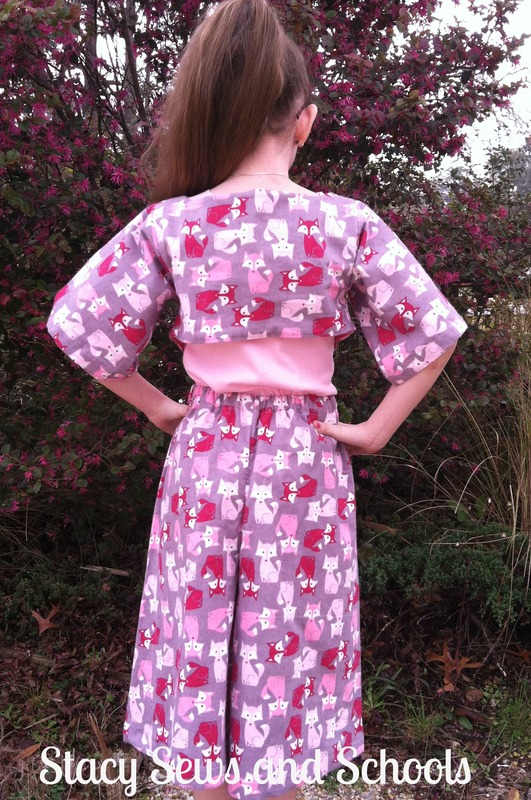 Press your hem and you are all done! Now on to the tank!! 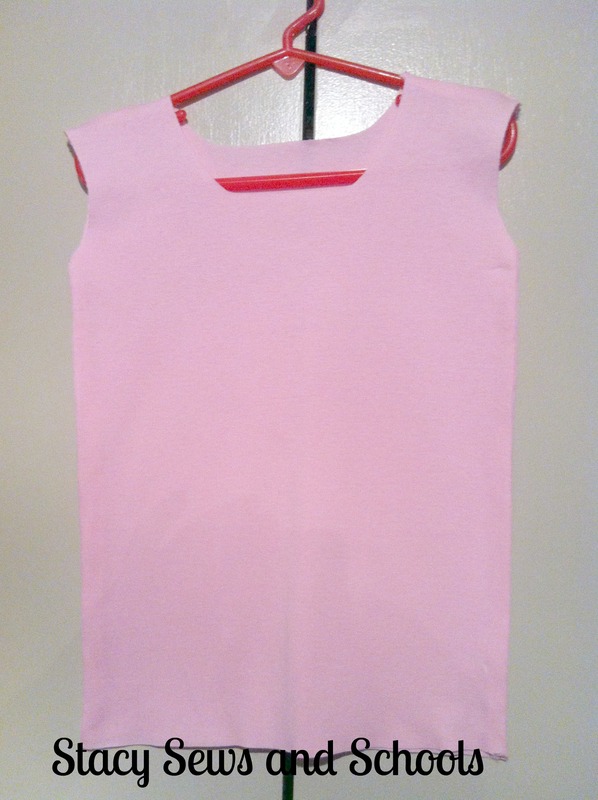 Using a top that fits your child well, cut the arm holes, sides and length, while on the fold. 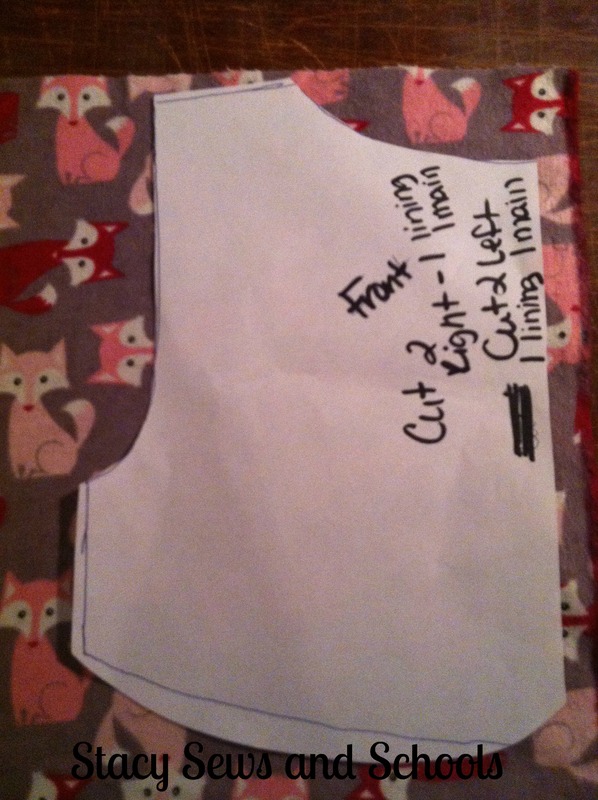 Then use the piece you just cut as a guide for the other side of the tank. Next, cut in the neck lines. You can make the shoulders as narrow or as wide as you like. 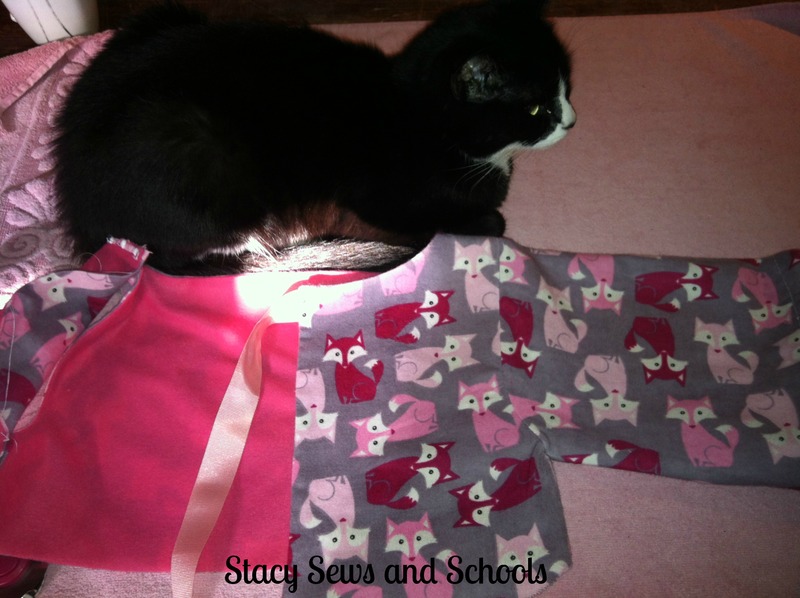 Pin and sew the shoulders together. 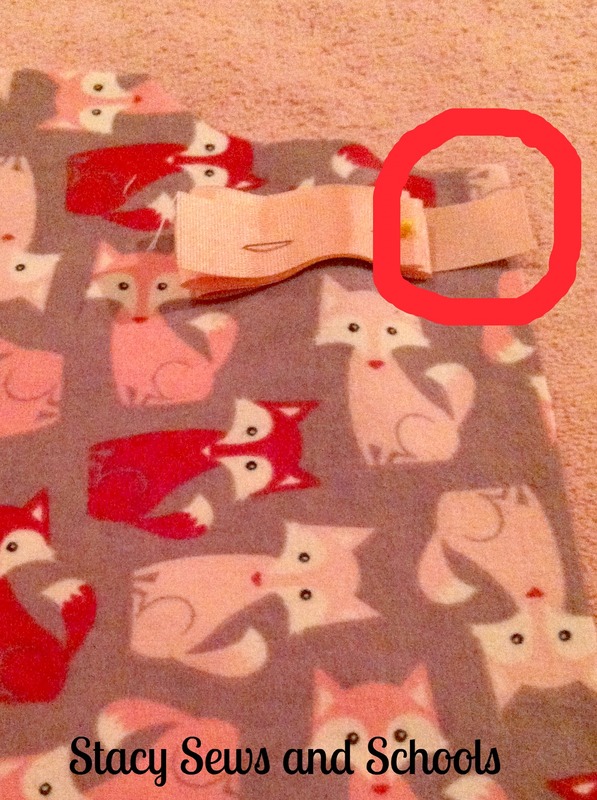 If using a print make sure right sides are together. 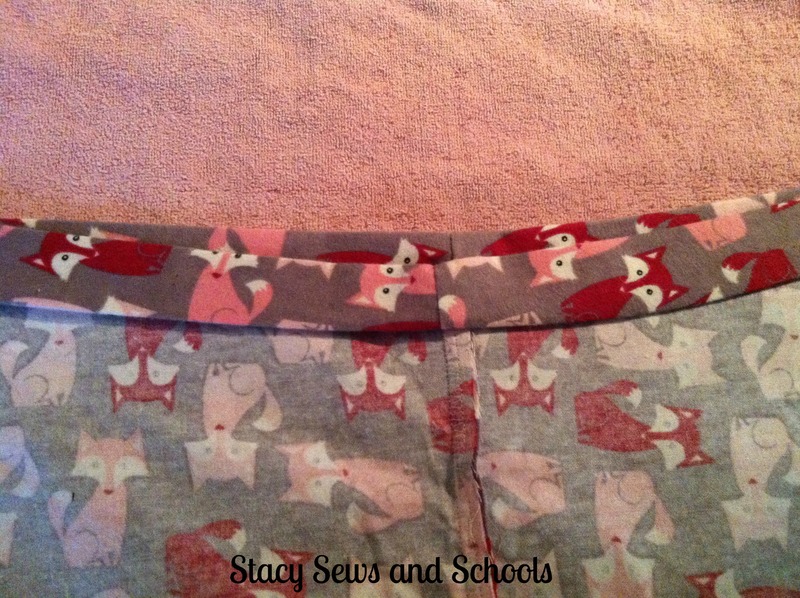 Pin and sew up the side seams! Turn right side out and press. Now you are done!! Let me know what you think!! 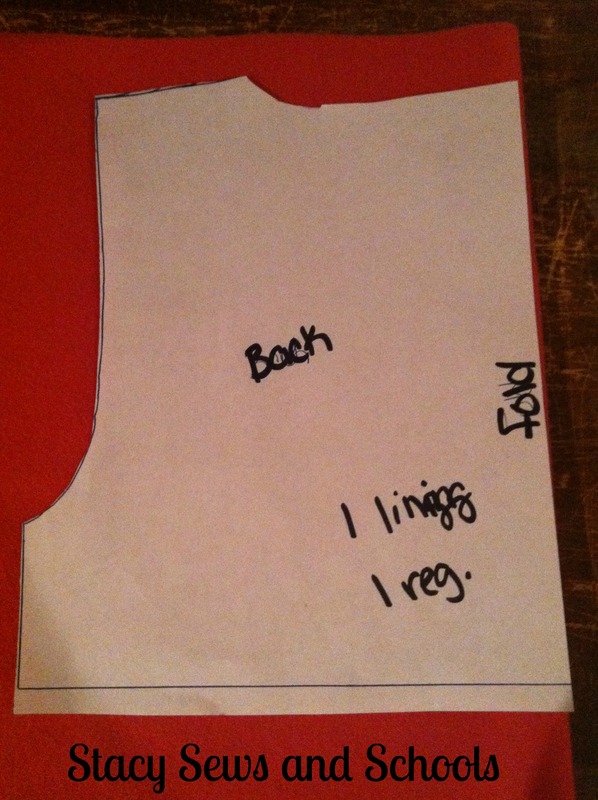 And PLEASE, if you try this out let me know! !